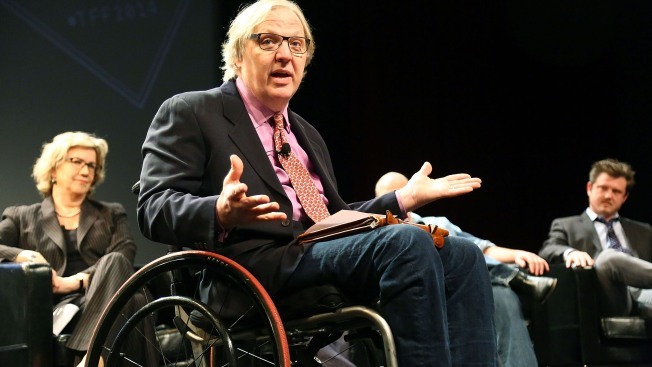 John Hockenberry speaks at the SVA Theater in New York City in April 2014. A former public radio host in New York City who left his show earlier this year has been accused of sexual misconduct by an author and some of his former colleagues. Suki Kim said she met former WNYC "The Takeaway" host John Hockenberry in 2014 as a guest on the radio program. He later sent her a series of emails that made her uncomfortable, asking for her home address so he could write her letters and entitling a subject line: "Need another dose of you," she wrote in an article published on New York Magazine's website. He left the radio show in August, saying it was time to move on. After the accusations against media mogul Harvey Weinstein broke, Kim decided to ask Hockenberry's former colleagues about whether they ever felt uncomfortable, she wrote. One former colleague, Kristen Meinzer, told her that he made unwanted advances and wrote her sexually-explicit notes through social media. She eventually left the show. Others reported similar behavior but did not want to be named in the story. Kim, author of "Without You, There Is No Us: Undercover Among the Sons of North Korea's Elite" had complained to the station in February. New York Public Radio CEO and President Laura Walker declined to comment for the website's story. A statement from "The Takeaway" posted on Twitter said the show was disturbed by the report and takes the allegations very seriously. Hockenberry issued a statement to the website, saying that he was horrified people felt uncomfortable. "Looking back, my behavior was not always appropriate and I'm sorry. It horrifies me that I made the talented and driven people I worked with feel uncomfortable, and that the stress around putting together a great show was made worse by my behavior." "Having to deal with my own physical limitations has given me an understanding of powerlessness, and I should have been more aware of how the power I wielded over others, coupled with inappropriate comments and communications, could be construed. I have no excuses," said Hockenberry, who is in a wheelchair after being paralyzed in high school following a car accident. Hockenberry, WNYC and its parent company did not immediately respond to The Associated Press' request for comment. "The Takeaway" has 2.7 million weekly listeners and is broadcast on more than 270 stations. It's now hosted by Todd Zwillich. The 61-year-old Hockenberry hosted "The Takeaway" from 2008 until earlier this year and is a four-time Emmy Award winner.